I love chicken Marsala and I’ve always wanted to have a vegetarian version, but of course most places don’t offer it as a veggie option. So, one day…..when I felt my inner “Martha Stewart” moving, I decided to try it for my self! Now….some dishes just aren’t going to come out like the meat version and I’ve accepted this over the years of eating vegetarian dishes. But…..when I tell you this dish turned out better than I thought, it’s TRUE! My husband LOVED IT and my kids thought it was good too. Of course, the kids have no comparison, but hey…it is what it is. I’ll take that over dislike anyway 😉. 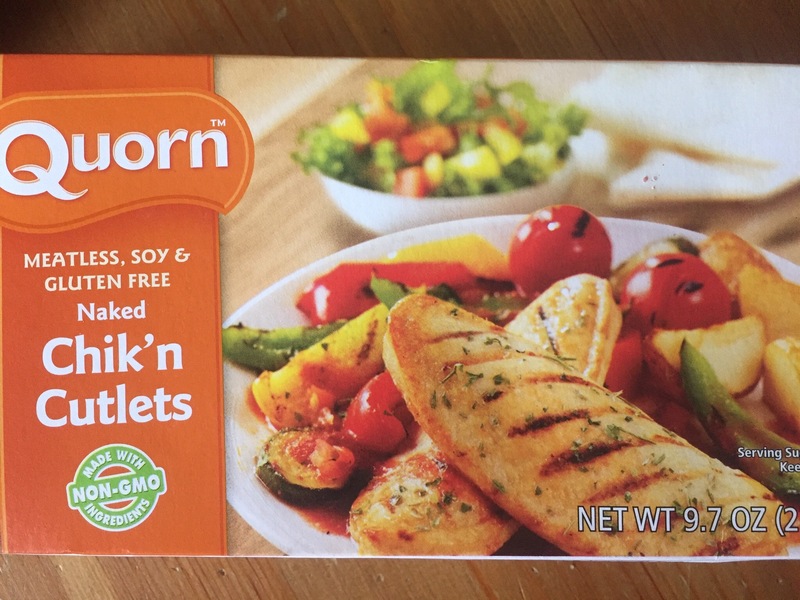 One of my favorite veggie meats that I have stocked up on in my extra freezer is the Quorn Products line. Lately it has been on sale for $1.99, when it was normally around $3.99 per box. So we stock up during the sales. They have cutlets, meatballs, burgers, ground meat and other veggie products. They are also gluten free and soy free which I like. Now, the corn chicken can get a bit dry. What I used to replace the moisture and give it the most flavor is add some vegetable broth. This is good when you want to bake them in the over so they don’t dry out, or on the stove top. 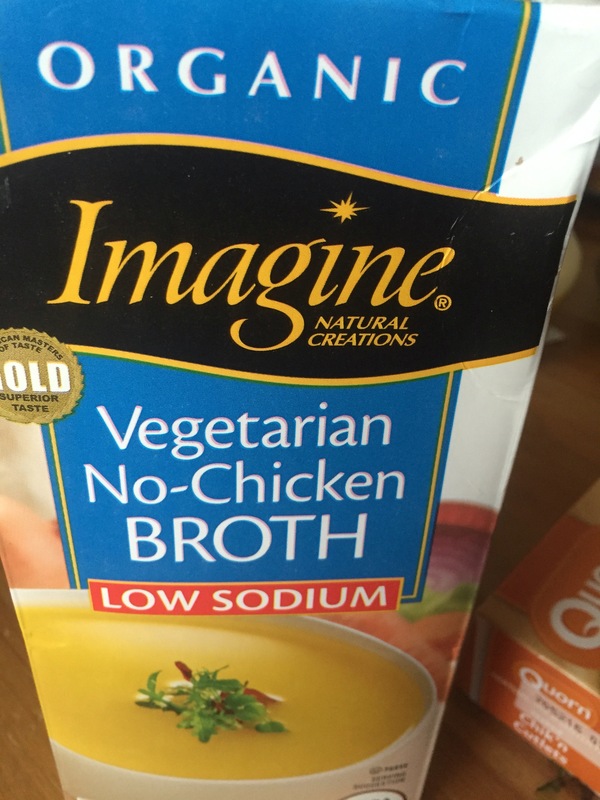 In particular my husband and I love to cook with Imagine No-Chicken Broth Organic, which we purchase from Kroger grocery store. It has an AMAZING flavor and it’s low in sodium! 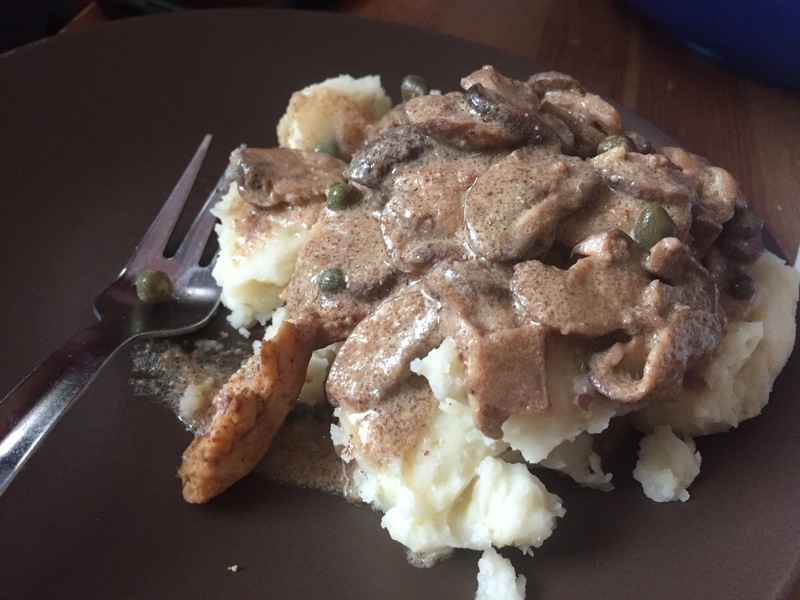 Vegetarian Chicken Marsala with pressure cooked Red Skinned Mashed Potatoes! For the recipe, you can go on line and look up any popular recipe and just substitute the meat for Quorn Chicken chunks, and if you wish to make a vegan version, replace the dairy products with it began equivalent (Tofuti Sour Cream for the dairy creamer, and butter for earth balance).